JMS is responding to the growing demand for highly-sustainable low carbon powered access equipment by adding JLG 6RS scissor lifts to its access hire fleet. The JLG 6RS electric scissor lift delivers industry-leading operational capability while satisfying an important need to carry out working at height operations with highly-efficient, low-energy, fume-free machines. JMS Managing Director Mark Jackson said: “Main contractors and their clients increasingly expect supply chain partners to use equipment that minimises their carbon footprint to contribute to the overall sustainability of the project. The JLG 6RS scissor lift is designed to satisfy this demand. Increased productivity – Extended duty cycles offer longer run times. Operators can carry out a full day’s work without having to charge the battery. This gives users confidence that the JLG 6RS will be ready to go when it is needed. 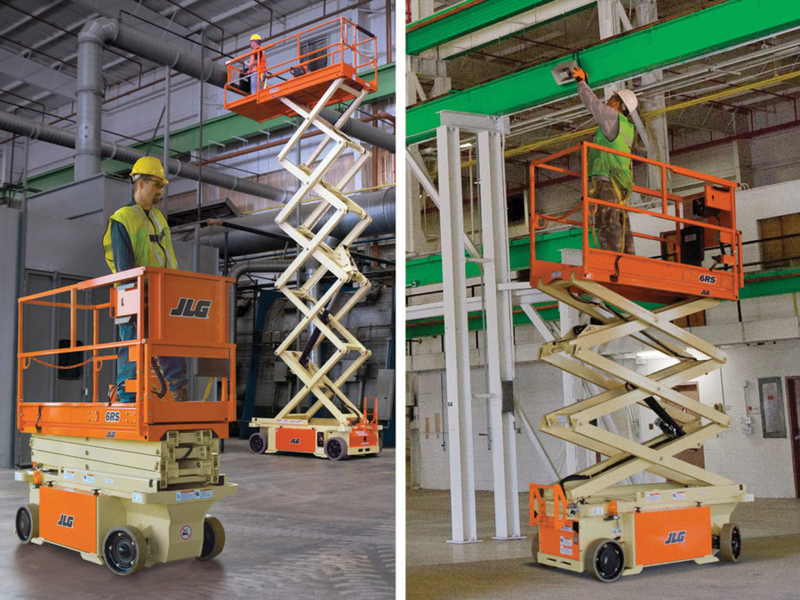 Great reliability – The JLG 6RS scissor lift has been designed to improve still further JLG’s already excellent record on reliability – for example, by re-engineering operating systems to have fewer moving parts. Superb accessibility – The machine’s compact design and innovative control systems makes the machine easy to use, and operate in confined spaces. At just 0.81m wide, it can be taken through standard double doors with ease, as well as most service, and construction lifts. Safety – The JLG 6RS is fitted with a range of safety features, including passive pothole protection, a slope alarm and light, dual wheel automatic brakes, and proportional speed lift and lower controls. The scissor lift can traverse grades of up to 25 per cent, and is fitted with non-marking tyres to protect indoor floors.